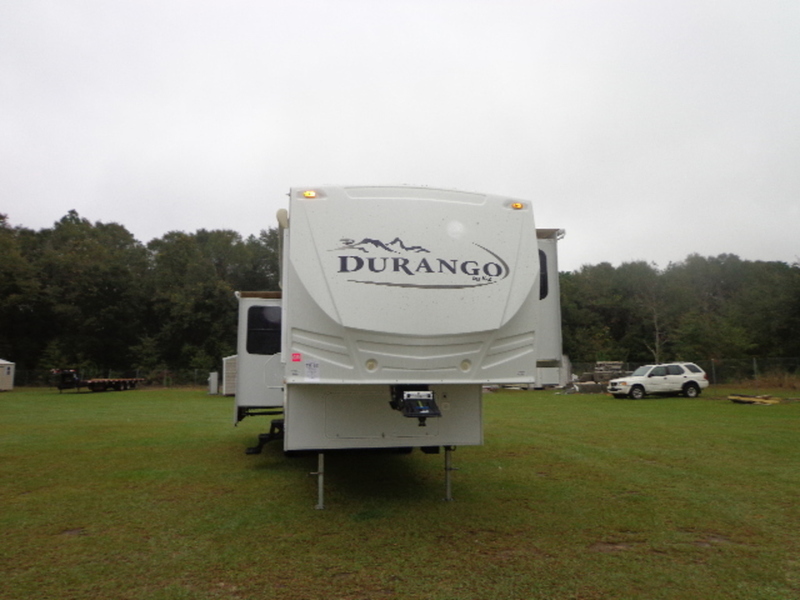 2008 KZ Durango 325, This unit is very spacious with 3 slide-outs. 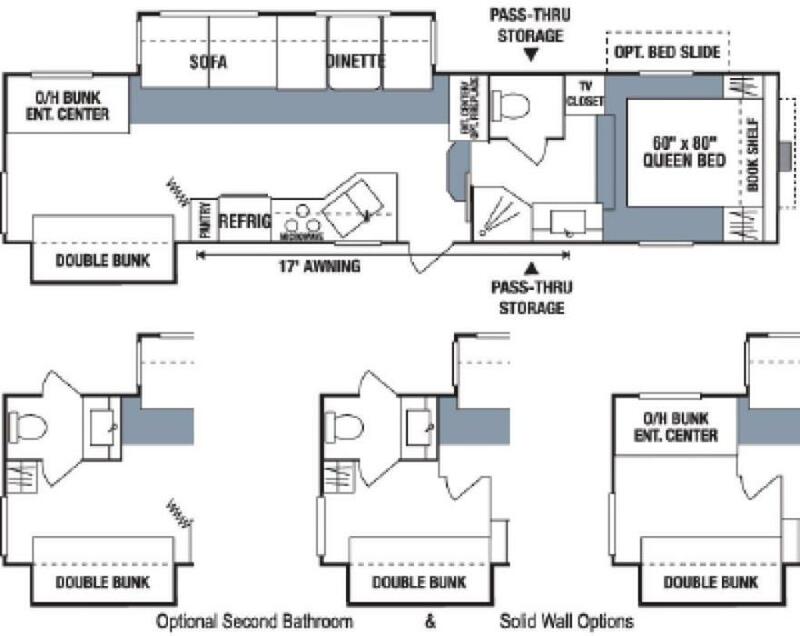 It has 1/2 Bath w/Exterior Entrance, Booth Dinette & Hide-A-Bed Sofa Slide-out, Entertainment Center, Double Kitchen Sink, 3 Burner Range and oven w/Microwave, Refrigerator, Pantry, and a large shower. 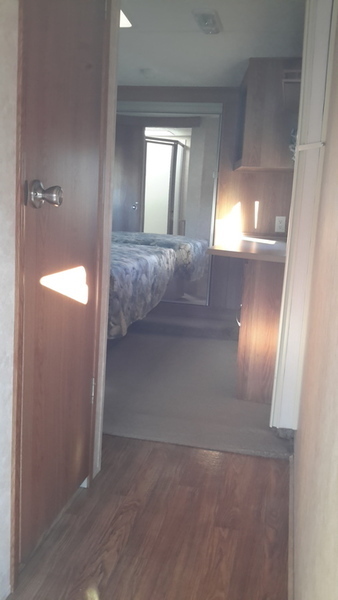 In the rear room it has a full size bunk on bottom with a twin on top. This unit also has an exterior shower as well. Making Memories Sale! Was $66,777. 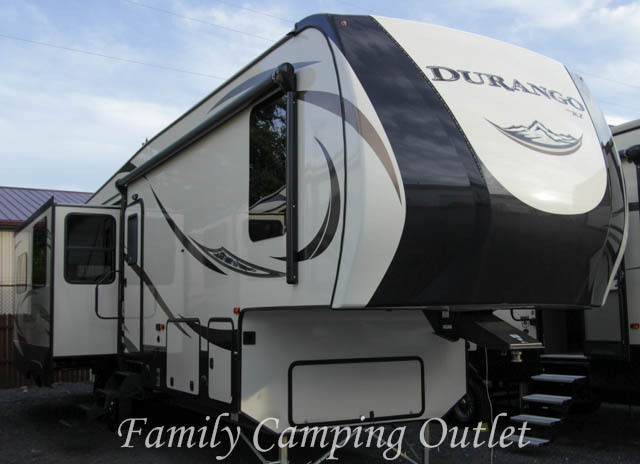 Now Only $58,764!Don't Miss This Opportunity! 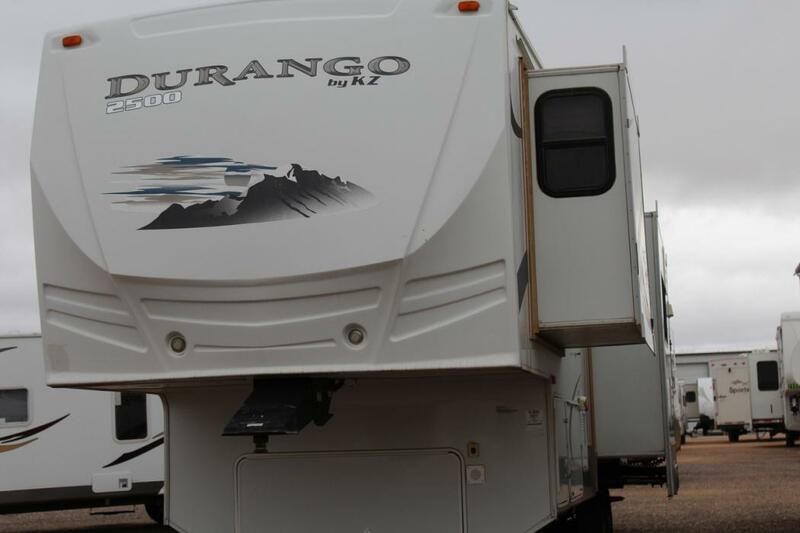 The 2017 Durango 325RLT fifth wheel by KZ has 3 slides, is spacious, very comfortable, and sleeps up to 4! 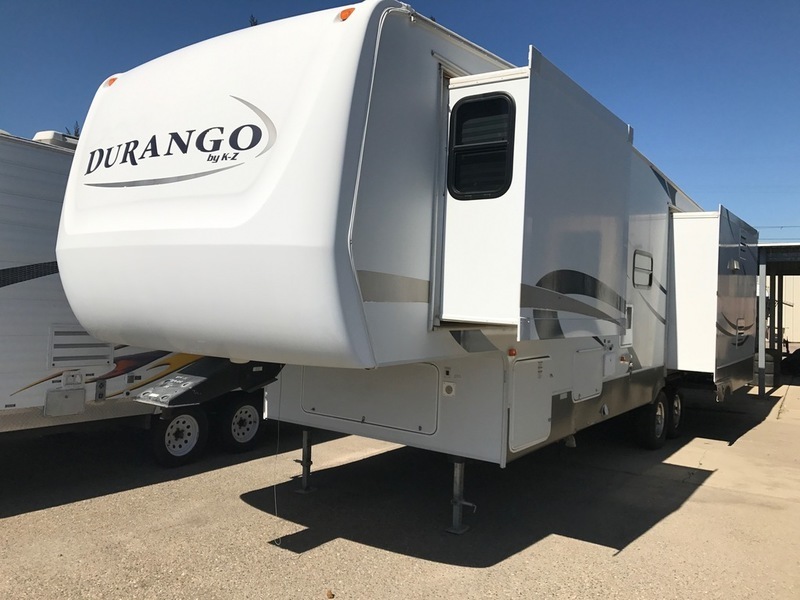 This fifth wheel has a 6 sided aluminum superstructure, has many other great construction features, and includes a 2 year warranty that makes KZ standout from it's competitors. 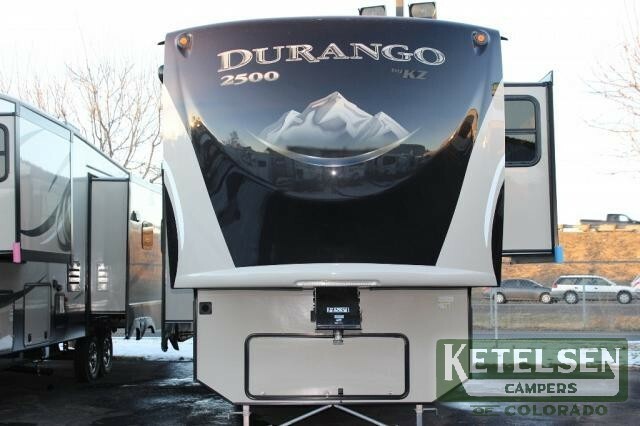 The outside of this beautiful Durango 325RLT features the 4 Point Auto Leveling System with JT Strong Arm Stabilizers, All Weather Insulation Package, heated and enclosed underbelly, black tank flush, two 30 lb LP tanks, a 6 G G/E DSI water heater, flip-up bike rack/cargo tray, outside speakers and a lighted power awning. 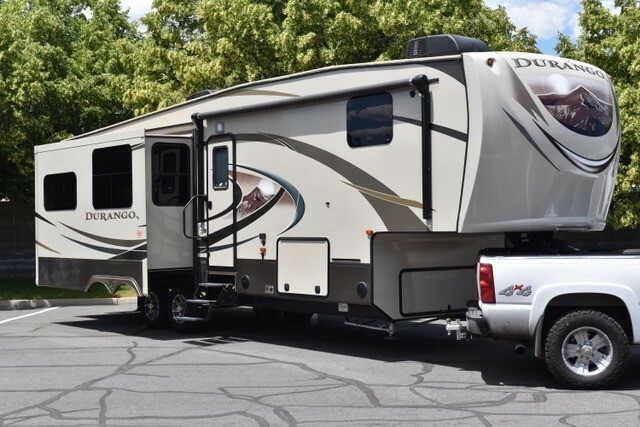 On the inside of this spacious fifth wheel there are solid surface countertops, fireplace, theatre seating, 12 cubic foot R/V refrigerator, 3 burner gas stove w/oven, and microwave. There is a table w/leaf and 4 chairs, and a hide a bed sofa for your guests. For your entertainment there is a 32" TV, and an AM/FM/CD/DVD Player. In the master bedroom there is a 2nd 15,000 BTU A/C, an HD TV, and a walk-around King bed with the Cotton Cloud Gel Top Foam Mattress Upgrade. Inside the bathroom there is a porcelain toilet, shower w/glass enclosure, vanity w/sink, and a medicine cabinet. 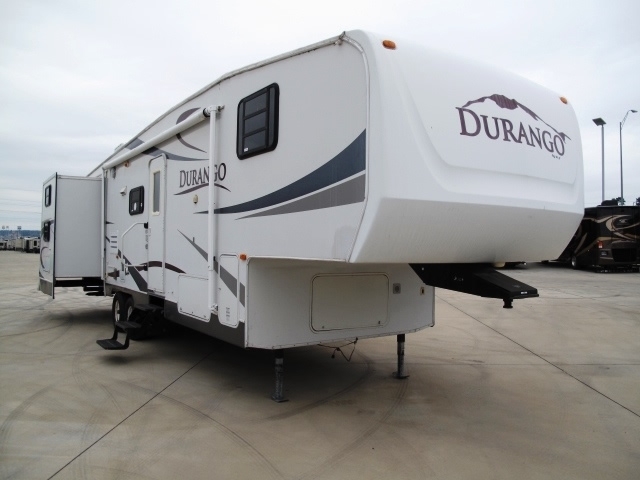 This beautiful fifth wheel has a UVW of 10,130 lbs, and is in the Cappuccino Decor. Call today! 1-866-806-3196! 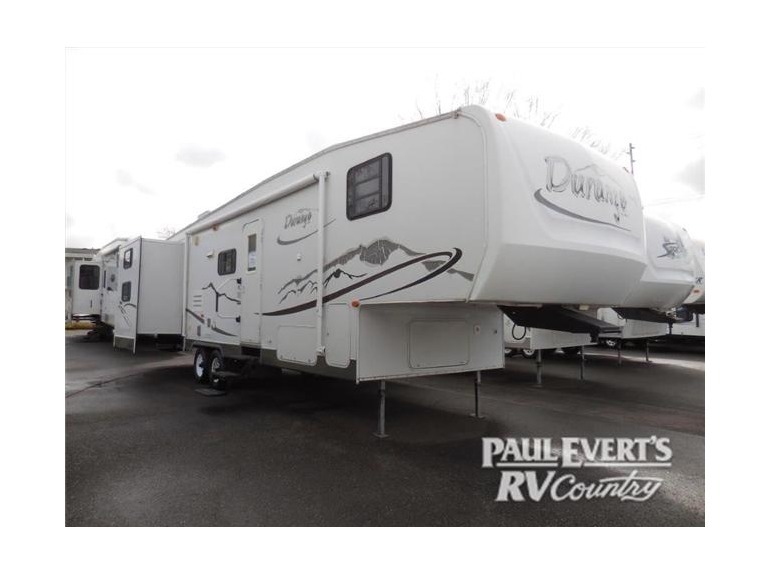 SAVE A TON OF MONEY ON THIS HIGH END LUXURY MODEL 5th WHEEL! Much of its furnishings still have the ORIGINAL TAGS AND WRAPPING! WOW, WOW, WOW, THIS THING IS GORGEOUS! 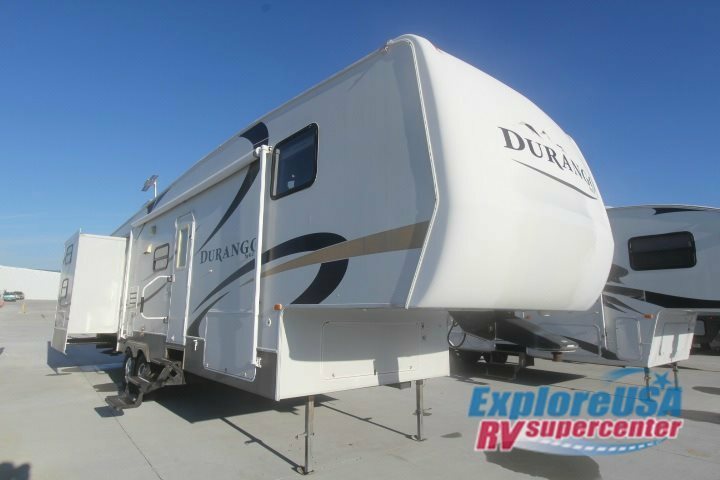 3 slides, leather interior, HUGE king bedroom and MUCH MORE!! !Located at WASHBURN MOTORS (dealer #3772) in Orem at 415 West 800 North. For more information CONTACT STEVE at 801-319-6600.